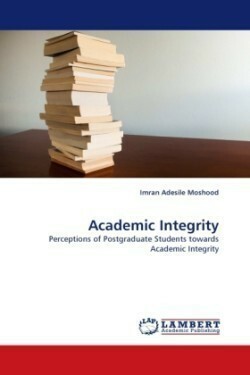 This study examined the IIUM students' perceptions toward academic integrity practices. A total of 220 respondents were involved. Respondents were asked to indicate conducts/behaviors which they consider academic dishonesty and the rate at which they participate in those conducts. An instrument tagged: Academic Integrity Survey which consists of two measurement models (Academic Dishonesty and Integrity Practice) was developed for data collection. Both the reliability and validity estimates of the instrument were established using the Cronbach's alpha coefficient and Confirmatory factor analysis' fit indexes and parameter loadings. The findings indicated a mixed reaction from the respondents. Integrity practice was perceived high in terms of awareness of academic integrity policy, but low in the area of faculty and management's commitment to the implementation of academic integrity policy. Also, the respondents' involvement in the acts of academic dishonesty was found to be low. Suggestions and recommendations for improved academic integrity practices were proposed to the appropriate authorities.